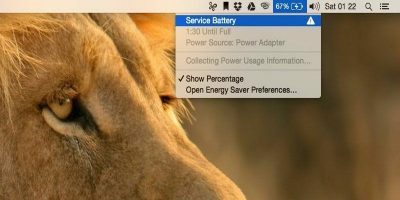 Seeing a ‘Service Battery’ warning message on your Mac? It could be due to several reasons. Here are three solutions that may help with the problem. The Mac Photos app has many adjustment options, but there are a few more that can be enabled. 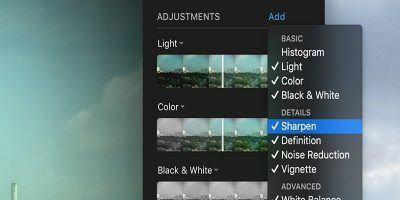 Here’s how to enable those extra adjustment settings in Photos. Have a PDF file that you want to split so that you can save just the pages needed? Here’s how you can easily and quickly split PDF files on your Mac. CCleaner for Mac: As Good as Windows? CCleaner, a popular utility for Windows, is now available for Mac. Is CCleaner for Mac as good as the Windows version? Let’s find out. Polymail is a great email client for Mac and iOS. It has unique features like tracking, scheduling, snoozing, send cancellation and one-click unsubscribe. Check it out. DeskConnect is an app that lets you send files between Mac and iOS devices. From text to clipboard contents to websites links to map locations to documents, it has you covered. How many times have you accidentally quit an app on your Mac? Tired of this happening? Try QBlocker, a free app to help you stop quitting apps accidentally. Wish there was a way to book an Uber from your Mac? Good news, there is! Fastlane is a free app that sits in your menu bar until you need a ride. Looking for an alternative to Spotlight? Lacona is a free Mac Launcher that is currently in beta stage. It also has a few nice surprises worth checking out. If you’re using the Mail app for Mac and want to show only unread emails, here’s how you can do so using the Smart Mailbox feature. Have you ever wanted to display a website as your screen saver? You’re in luck. WebViewScreenSaver is a Mac app that turns any website into a screen saver. Apple has made significant changes and improvements to its Notes app since it first arrived on the scene. Here are some ways you can get the most out of it. Looking for a fun reminder and to-do app for both Mac and iOS? Meet Doo, an app that aims to make productivity fun for its users. You can’t schedule emails in the Mac Mail app natively, but with a little trick and an Automator script, scheduling emails is a snap. Here’s how it’s done. If you’re a fan of mind-mapping or looking to get started with it, Scapple is a great tool that will help to turbocharge your workflow. It’s now 40% off.